The fibrous ecomaterials have a variety of applications in various areas including tissue engineering, fuel cells, fiber-reinforced composite, thermal insulation, filtration, textile fabric, apparel products, medical science, and paper products in recent years. Generally, fibrous ecomaterials can serve as a porous media, through which photons, electrons, particles, fluids, and heat pass through in most of the above applications. 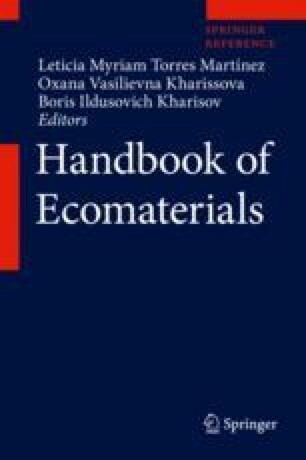 So, it can be of importance to study the permeabilities of fibrous ecomaterials. Based on the well-known fractal feature of micropores in fibrous ecomaterials, this chapter presents an investigation for the permeabilities of fibrous ecomaterials. For this purpose, the first section was aimed at studying the relative permeability with the effect of capillary pressure by means of Fractal-Monte Carlo technique in the fibrous ecomaterials. In the second part, the permeability of the fibrous gas diffusion layer is investigated in proton exchange membrane fuel cells based on fractal geometry. This work was supported by the National Natural Science Foundation of China (Grant No. 51576114), the Science Fund for Distinguished Young Scholars of Hubei Province of China (Grant No. 2018CFA066), the Natural Science Foundation of Fujian Province of China (Grant No. 2016J01254), and the Program for Young Top-notch Innovative Talents of Fujian Province of China.